Lining envelopes is one of those things that seems difficult, but is really so simple. 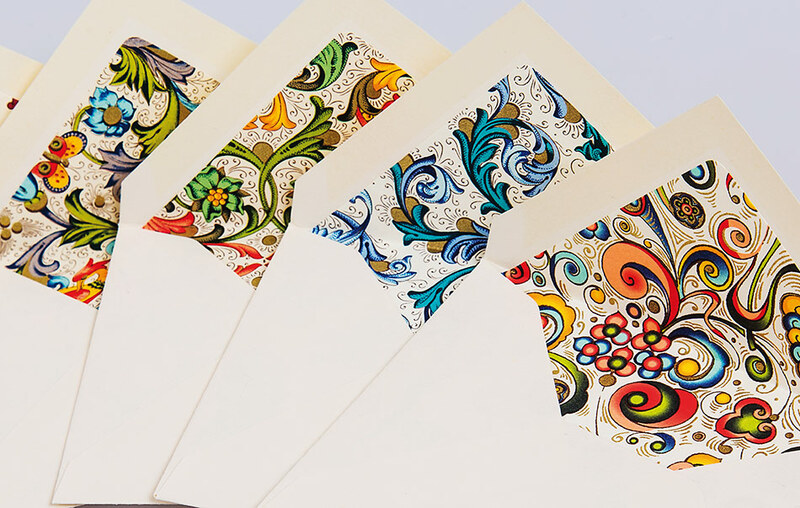 It makes such a huge impact on correspondence, hand-made invitations or cards sent to friends and family. A liner truly takes your note or card up a notch… And you will look très artistic! When you have mastered the technique (and see how easy it is), you may never resort to a plain white envelope again. Rossi1931 decorative paper works beautifully as a liner, but certainly any scrapbook paper or wrapping paper would work as well. A pair of scissors, a ruler and a glue stick (Coccoina works wonderfully)… and that is all you truly need. Measure the width of your envelope, and subtract 1/4 inch. For the length, fold back the flap of the envelope, and measure from the bottom of envelope to tip of flap, just under the gummed strip. Using a paper cutter or scissors, cut a sheet of paper to these dimensions. 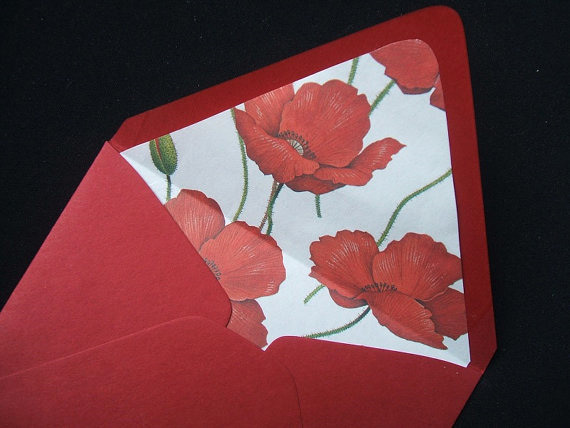 Remove the paper from the envelope, and cut off the corners along the folds. Slip liner into envelope and center. Holding liner and envelope in place, fold flap over and crease. Lift envelope flap, and apply glue to back of liner flap with glue stick. Fold envelope flap back down, smoothing to adhere to liner.